Often overlooked, the Phoenix Rest Courtyard within Lan Su has been without its namesake tree since 2013 when the firmiana simplex ‘Phoenix Tree’ succumbed to a blight known as Phythophthora. This fall we will restore the courtyard by replacing the tree and adding new plants. Learn more at www.lansugarden.org/phoenixcourtyard. This and other horticultural improvements are so important to our success. 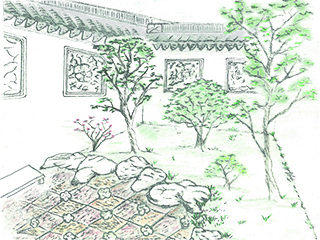 With your help Lan Su can keep the garden healthy and continue to update and expand our beloved plant collection.